The great British Prime Minister Benjamin Disraeli once observed that there’s no education like adversity. If that’s the case, the oil industry has done a lot of learning during the last few months, and so have governments that rely on the industry for investment, revenue, and jobs. We have witnessed a precipitous drop in oil prices that virtually no one foresaw, a decline so steep the industry’s basic operating assumptions are being questioned by many. 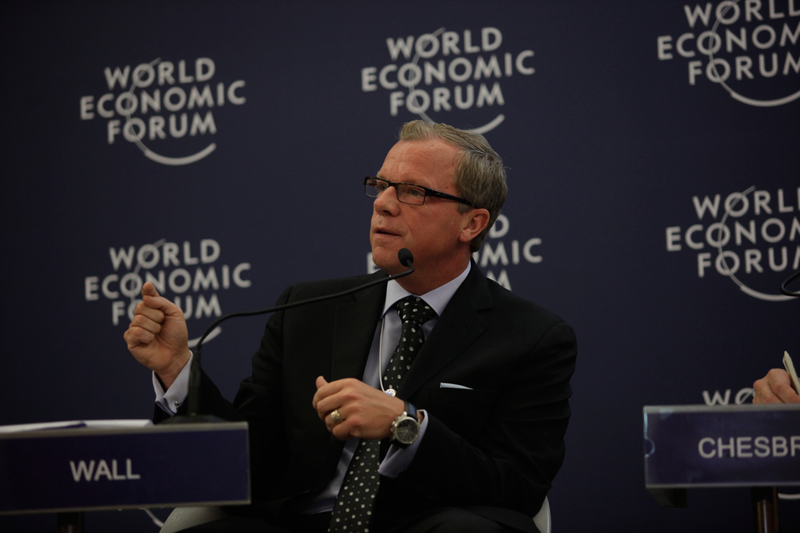 This is indeed a challenging time for companies, employees, and jurisdictions like Saskatchewan. As we deal with those challenges, we need to keep in mind that we’ve been here before, and not so long ago. Oil prices plunged in 2009, and the industry faced the same uncertainty it confronts today. But prices bounced back fairly quickly, thanks in large part to growing demand in the developing world. And while this time prices may not recover as quickly, the industry’s demand dynamics have been forever altered by the rise of countries like China, India, Indonesia, and Thailand. Even if those Asian economies weaken in the short term, it is difficult to envision a scenario where global demand for oil languishes for long. The world’s population is expected to increase to more than nine billion by 2050, with much of that growth to take place in Asia. Moreover, the world is becoming more affluent and more urbanized, which will translate into higher demand for energy. From 2000 to 2012, demand for oil in Asia grew by 41.5 per cent, while demand declined in Europe and the United States, according to the Organization of Petroleum Exporting Countries (OPEC). OPEC forecasts that oil demand will climb from 90 million barrels a day in 2013 to 111 million barrels a day by 2040, with most of the increase coming in Asia. This is why I believe the North American oil and gas industry will prosper in the long term, provided we have the appropriate taxation and regulatory regimes in place and the necessary infrastructure to get our product to market. In the short-term, there will be some rocky days. Thankfully, the industry is made up of tough and resilient people, and so is the Province of Saskatchewan. We are both accustomed to market volatility. 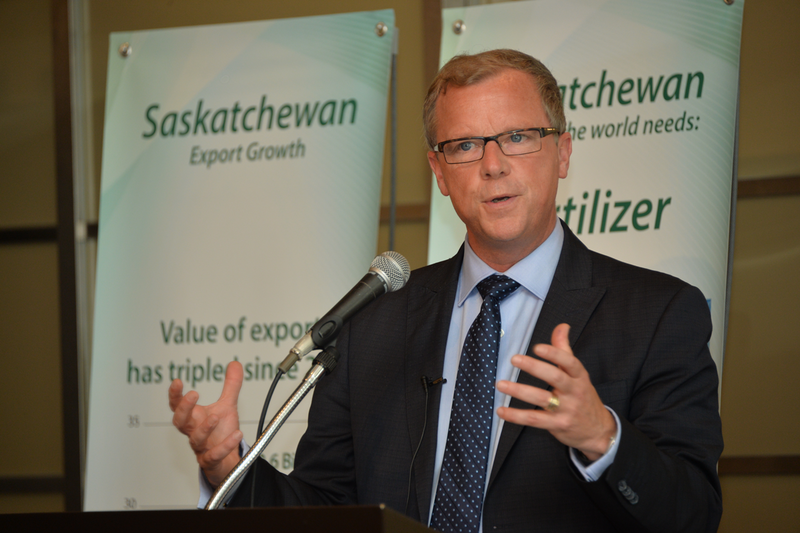 Saskatchewan is a province of traders, exporting almost three quarters of the total value of what we grow, mine, or build to markets around the world. Our economy relies heavily on natural resources to drive growth and investment. But while many know Saskatchewan as a leading producer of potash, uranium, and agricultural products, and that diversity of resources will help see us through a slowdown, the contribution of oil to our economic wellbeing is not as well known outside the province. Oil has provided an enormous boost to one of the fastest-growing economies in Canada. In 2013, the industry accounted for an estimated 15.1 per cent of Saskatchewan’s $61.1 billion real gross domestic product. In 2014, it invested an estimated $6 billion in exploration and development, and supported approximately 38,000 jobs. Our government is extremely grateful for the hard work and enterprise of the hundreds of companies operating oil and gas wells in the province and the firms that support them. The private sector deserves the credit for the impressive growth in Saskatchewan’s energy sector. For our part, the government has tried to help by creating an atmosphere conducive to growth. 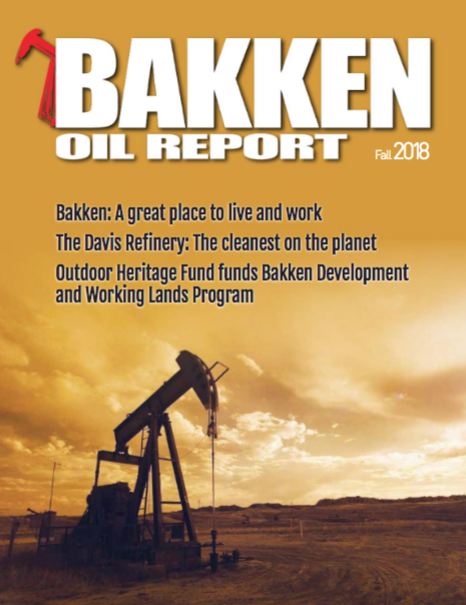 That we have had some success is borne out by the Fraser Institute’s annual Global Petroleum Survey, which ranked Saskatchewan as the third most attractive place in the world for the oil and gas industry. In these uncertain times, we will do everything we can to ensure Saskatchewan remains a competitive place to do business for the industry. That includes serving as a strong advocate on the national and international stage. We have been vocal in our support of major pipeline projects that will benefit North American oil producers, such as Northern Gateway, Keystone XL and Energy East. The pipelines will provide a major boost to the North American economy, and ensure our oil can get to tide water, allowing producers to receive world prices for their product. I’ve travelled to Washington in support of TransCanada’s Keystone project. In speeches and in meetings with lawmakers, I’ve made the point that there are already more than 80 pipelines carrying hydrocarbons between Canada and the United States, all operating safely right under the nose of actress Daryl Hannah and other fervent opponents of Keystone. Keystone, in fact, would account for less than one per cent of the 150,000 miles of oil pipelines distributed throughout the United States, according to the Brookings Institute (there are another 2.5 million miles of natural gas pipelines). In my discussions in Washington, I also stressed the economic benefits of Keystone. According to the U.S. State Department, the project will contribute $3.2 billion to the U.S. GDP and create more than 42,000 jobs during construction. The State Department has also concluded that Keystone will not significantly increase greenhouse gas emissions. Keystone is truly a “no brainer”, as Prime Minister Harper has said. But President Obama doesn’t see it that way. The project is caught up in an intense political debate in the United States. I’m troubled by that debate, but I understand it. Opposition to the $12 billion Energy East project is harder to fathom. Energy East, another TransCanada undertaking, entails converting an existing natural gas pipeline to an oil pipeline, and extending the pipeline to ports in Quebec and Atlantic Canada. Seventy per cent of the pipeline is already built. Energy East, like Keystone, will permit Canadian oil producers to get world prices for their product, which will not only benefit those companies, but all Canadians through increased tax revenue, wages and investment. The pipeline will allow for the shipment of conventional oil from West to East, opening up the possibility of Canadian oil displacing oil importing from countries like Saudi Arabia, Iraq and Nigeria. The economic benefits associated with Energy East have been confirmed by independent studies completed by Deloitte and the Conference Board of Canada. The Deloitte report predicts the pipeline will boost economic activity by $35 billion over its lifetime. This includes $10 billion in additional tax revenues, of which 20 per cent will flow to Quebec and 36 per cent to Ontario. It is estimated Energy East will create 10,000 full-time jobs in the construction phase, with most of the jobs going to workers in eastern Canada. Energy East is now the subject of a rigorous National Energy Board review. I was pleased to see that my colleagues, Premier Kathleen Wynne of Ontario and Premier Philippe Couillard of Quebec, have dropped their demand to expand that review to include the greenhouse gas emissions (GHGs) generated in the production of the oil transported in Energy East. Still, Quebec and Ontario are not yet supporters of Energy East. There is, in fact, considerable opposition to the project. I have no doubt TransCanada will do everything it can to allay concern and correct misinformation. Those of us who support the oil industry, and understand and appreciate its importance, must help with the effort. And as we do, we need to deal in facts, for as the American president John Adams noted: “facts are stubborn things”. We should emphasize the fact that pipelines are by far the safest way to transport oil, far safer than moving oil by rail. We should make known the fact that every year, Canadian resource companies and governments lose out on billions of dollars in profit and tax revenue because we are unable to ship our oil to world markets. That means less money for job creation, less money for schools, hospitals and roads, less money for programs to help the most vulnerable among us. We need to disseminate the fact that few countries in the world have done as much as Canada and the United States to ensure the environmental sustainability of fossil fuel production. Over the years, billions of dollars have been invested to reduce the industry’s impact on the environment. And finally, we need to explain that the oil and gas industry has sustained our economies through difficult times, with the economic benefits extending far beyond the borders of oil producing provinces and states. In 2013 alone, the Canadian industry invested $74 billion and employed 530,000 people. All North Americans should be proud of our oil and gas industry. We should trumpet its risk taking, its innovation and its social responsibility. Today, both Canada and the United States can make an honest claim to being energy superpowers. It’s time both countries started acting like energy superpowers.